Elaine Hancock (Olney, United States) on 2 April 2018 in Landscape & Rural. En solitaire pour braver les tempêtes. Il est bien seul cet arbre, les arbres solitaires marquent souvent une limite de terrain. Une belle composition et ambiance ! Ah, yes . . lone trees always carry a certain added significance . . I feel it here. Aux avants-postes avant les bois il s'expose ! Very beautiful black and white..Lovely image here ! @grouser: It is black and white. I will have to post the color version. Beautiful position of the lone tree, low horizon. Un bien beau solitaire dans ce champs quel rendu et effet quel ciel et vue sueprbe. Very beautiful black and white picture of this landscape with this beautiful lonely tree. The vast open space around this tree sure gives it a stately appearance!! Great capture! I like the flow of the land in the foreground to the lone tree. A fine black and white image. Very effective. Very good. Not getting too close to the tree gives a better sensation of loneliness. 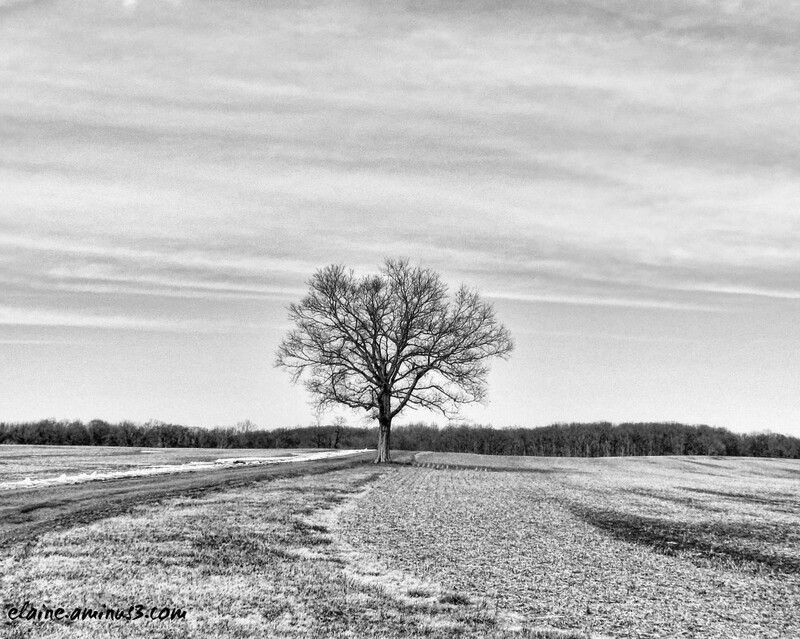 A beautiful B&W image of the tree in the desolate field. A wintry feel indeed. I like lonely trees ... I like your photography! Beautiful composition and a wonderful subject. Love the lone tree and I like the lines in the field taking the eyes through towards it. Fantastic work.